Stupidest Idea I have ever heard. If that BS ever happened here farmers would literally go on strike, not plant any crop, starve the county, state of tax dollars. 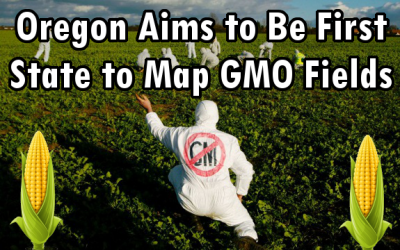 A state ban on GMO in Oregon would cause the loss of tens of thousands of jobs in many industries across the U.S. THAT is how blind Oregon voters are. You should not be voting for things that you do not fully understand!! They should start charging Monsanto with vandalism for every ear of corn that gets contaminated, along with largest fine allowable. PER EAR! and stalk for that matter. Prior to No Hands SEO I was can not generate much progress with my search engine rank these days I can also consistently go to the first page connected with Google with little effort. So glad that I don’t live in Oregon where they don’t hesitate to violate landowners’ constitutional rights! A right is not a right when that supposed right infringes on another or fuses damage or harm. BUT will this map include all the small farmers that are being paid to grow just few acres of “test” corn or other crops for Syngenta/Monsanto? We moved to Florida from beautiful Oregon three years ago (to be near our daughter), but I still consider Oregon ‘Home’. We would move back there tomorrow if it weren’t for the Fukishima radiation tragically assailing the west coast. Nothing anyone can do about that. 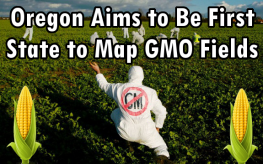 But WELL DONE, Governor John Kitzhaber, and all you wonderful southern Oregon residents who voted to ban the GM crops last month, and are working on the GM Mapping Project. Keep up the good work, and may God bless you in your fight against the evils of Monsanto and their greedy followers.